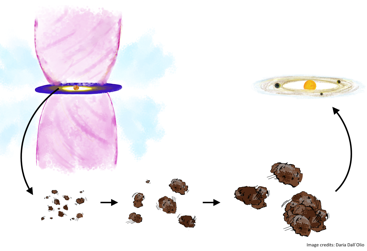 Directly constrain the initial conditions for planet formation. 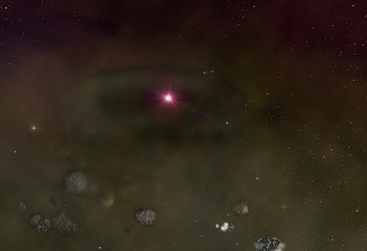 Determine how stars accrete matter. Team members: Per Bjerkeli, Matthijs H. D. van der Wiel, Daniel Harsono, Jon Ramsey, Lars Kristensen, Jes Jørgensen and Hannah Calcutt. 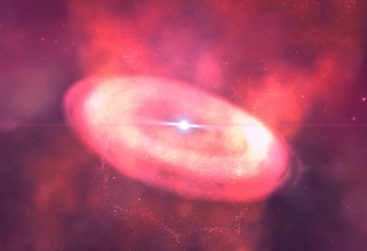 Researchers from the Niels Bohr Institute have used the ALMA telescopes to observe the early stages in the formation of a new solar system. For the first time they have seen how a powerful whirlwind shoot out from the rotating disc of gas and dust surrounding the young star. The results have been published in the prestigious scientific journal, Nature. For the first time, scientists have observed the powerful whirlwinds shooting out of a newly formed star located 450 light years away. 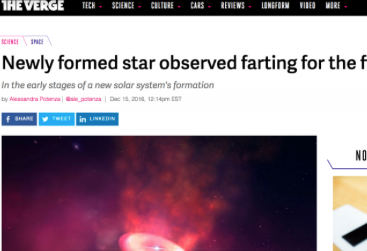 The space outbursts occured in the early stages of a new solar system's formation, when young stars are known to emanate jets of gas.